for $1,249,000 with 4 bedrooms and 2 full baths, 1 half bath. This 2,800 square foot home was built on a lot size of 25X125. Welcome to the heart of Lincoln Park! 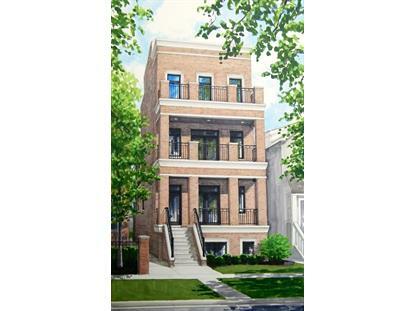 This exceptional 2 unit brick and limestone building is located on a quiet cul-de-sac street & within top rated Alcott Elementary School District. 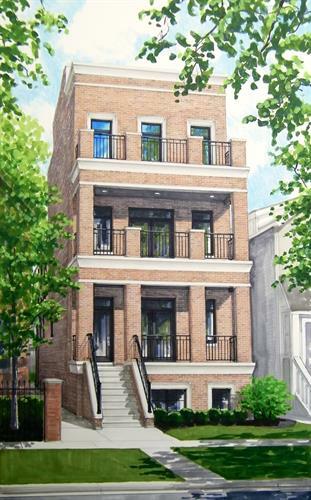 The Duplex Down features 4 bedrooms / 2.1 bathrooms, private roof deck over garage, oversized front balcony, 10' ceilings & 8' doors, 4" red oak floors & 42" wood burning fireplace, Aprilaire whole home humidifier w/ fresh air ventilator. Sound suppression concrete floors between units 1 & 2. Beautiful kitchen has 42" built-in Sub-Zero side-by-side paneled refrigerator, 36" Wolf 6 burner gas range w/ custom hood, butler pantry, quartz counters & waterfall edge on island. Spacious master bedroom has 2 walk-in closets & marble master bathroom w/ Grohe fixtures, steam shower & 66" soaking tub. Steps to Lincoln Park, Lake Michigan, CTA train (Purple, Red & Brown lines), boutique shopping & restaurants. 1 garage parking space included. Delivery Spring/Summer 2019.